Big Boxing made its initial splash on the marketing and advertising scene, by producing the first BOXING BACK TATTOO ADVERTISEMENT deal in the United States. On September 29, 2001, Bernard Hopkins proudly wore the URL GOLDENPALACE.COM on his back for three amazing rounds versus the undefeated legend, Felix Tito" Trinidad. Unfortunately, the fight lasted 12. Though in the end, Hopkins prevailed the Undisputed Middleweight Champion, boxing tattoos and the URL were some of the biggest winners that night. In the beginning, Big Boxing was a sports marketing company that represented the endorsement interests of over 50 boxers worldwide. 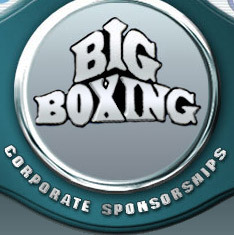 Never one to sit on its laurels, Big Boxing became an innovative, aggressive, sports and entertainment marketing company, that represents sponsors interests of all kinds. The company grew to service its clients in a variety of traditional and non-traditional mediums in the sport of boxing, and has become one of the largest, most-reputable advertising purchasers in the sport. Every marketing opportunity we present to our clients has been researched and hand tailored to fit their budget, reputation, and most importantly, their RETURN ON INVESTMENT. 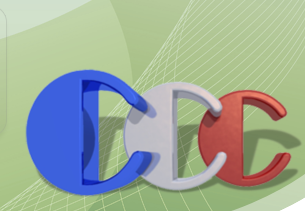 We take pride in our ability to adapt to the needs of our clients, and the marketplace. Our dedicated, selfless staff is the key to our tremendous success. Take a look at who we are, and we believe you will want to work with us to provide your company BIG results. Certain companies advertise with the hopes of immediate results. These companies vary from start-ups to those found in the Fortune 500. Regardless of the company or service being marketed, we have the ability to create and execute original marketing plans throughout the sport. Our past accomplishments are proven and well documented in publications such as the Wall Street Journal and Sports Illustrated as well as television programs such as ESPNs Outside the Lines. In some cases, our clients went from a start-up to a mid-size company, almost overnight!.